When it comes to investing in gold, investors often see the world in black and white. Some people have a deep, almost religious conviction that gold is a useless, barbarous relic with no yield; it’s an asset no rational investor would ever want. Others love it, seeing it as the only asset that can offer protection from the coming financial catastrophe, which is always just around the corner. Our views are more nuanced and, we believe, provide a balanced framework for assessing value. Our bottom line: given current valuations and central bank policies, we see gold as a compelling inflation hedge and store of value that is potentially superior to fiat currencies. We believe investors should consider allocating gold and other precious metals to a diversified investment portfolio. The supply of gold is constrained, and we see demand increasing consistent with global economic growth on a per capita basis. Regarding inflation in particular, we feel that the Federal Reserve’s decision to begin a third round of quantitative easing makes gold even more attractive. We see the Fed’s actions in the wake of the financial crisis as a paradigm shift whereby the Fed is attempting to ease financial conditions and encourage risk-taking by increasing inflation expectations. Its policies will likely result in continuous negative real interest rates because nominal rates will be fixed at close to 0% for the foreseeable future. To be sure, gold isn’t the only asset with the potential to hold its value in inflationary times. For U.S. investors, at least, Treasury Inflation-Protected Securities (TIPS) offer an explicit inflation hedge. What’s more, TIPS tend to be less volatile than gold and, if held to maturity, are guaranteed to receive their principal back – barring a U.S. government default (which we see as incredibly improbable). Still, history shows that gold is highly correlated to inflation and has unique supply and demand characteristics that potentially lead to attractive valuations. For more than a millennium, gold has served as a store of value and a medium of exchange. It has broadly managed to maintain its real value, even as various currency regimes have come and gone. The reason is that the supply of gold is not at the whim of any governmental power; it is fundamentally supply constrained. Total outstanding above-ground gold stocks – the amount that has been extracted over the past few millennia – are roughly 155,000 metric tons. Each year mines supply roughly 2,600 additional metric tons, or 1.7% of the outstanding total. This is why gold can be thought of as the currency without a printing press. The downside of gold is that it generates no interest. One ounce of gold today will still be only one ounce next year and the year after that. Because of this, gold is sometimes referred to as a non-productive financial asset, but we feel this characterization is misleading. 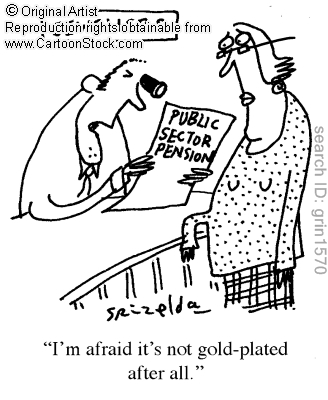 Rather, we believe gold should not be thought of as a substitute for equities or corporate bonds. These have equity or default risk and therefore convey risk premiums. Instead, gold should be thought of as a currency, one which pays no interest. Dollars, euro, yen and other currencies can be deposited to receive interest, and this rate of interest is meant to compensate for the decline in the value of paper currencies via inflation. Gold, in contrast, maintains its real value over time so no interest is necessary. Today, the forward-looking return on holding U.S. dollars, and most other major currencies, has been artificially lowered by the Fed’s commitment to keep interest rates pegged at near zero for the next few years; real yields on U.S. government bonds are negative out to 20 years. In such a world, we believe the desire and willingness of investors to hold gold relative to other currencies increases dramatically, creating the potential for continued price appreciation. Of course, investors must also consider valuation, especially since some believe gold is overpriced. Figure 1 shows the inflation-adjusted value of gold since 1970. There is no doubt that gold prices, which averaged $1,630 in August, are high. However, in inflation-adjusted terms, gold is 12% below its 1980 peak. Inflation in 1980 hit 15% year-over-year, and inflation today is running much lower so some may question the validity of comparisons to 1980. While we believe that inflation over the next several years is likely to be higher, on average, than it has been over the past 20 years and that the tail risks are for much higher inflation, this speaks more to the outlook for the nominal price of gold. The price of gold in real or inflation-adjusted terms is less affected by the rate of inflation and more impacted by the level of real interest rates because as discussed previously, it is the real interest rate that drives the relative attractiveness of holding gold relative to other currencies. With real interest rates negative on average for the next 20 years, it is of little surprise that gold is trading near its all-time inflation-adjusted high. Even the inflation-adjusted value of gold doesn’t tell the whole story, however. Thanks to productivity gains and economic growth, per capita GDP is significantly higher today than 30 years ago. Thus, the average person today has more wealth and, all else being equal, can afford to pay relatively more for gold. Figure 2 shows the ratio of gold prices to per capita GDP in the U.S. and China. In dollar terms, gold is still 34% below its 1980 peak, as U.S. per capita GDP is higher today. Furthermore, this is a relatively U.S. centric view, and considering that China represents the largest source of global gold demand, we believe investors take an overly myopic view at their peril. Chinese per capita GDP has grown at an 18% annualized rate for the past 10 years, compared with just 3% per year in the U.S. Thus, while gold might seem quite expensive to those of us in developed economies, its price seems much less expensive to those in faster-growing emerging economies like China. Another way to think about the relative value of gold is to consider what a return to the gold standard might look like. In other words, what if the entire world’s gold were used to back the global supply of fiat currency? Globally there are roughly $12.5 trillion in physical and electronic currency reserves. Given that there are 155,000 metric tons of gold above ground, this equals an approximate price of $2,500 per ounce if all of the world’s reserves were to be backed by the entire stock of above-ground physical gold. These points lead us to believe that gold valuations are not as stretched as a naïve look at its nominal price might suggest. Central banks globally are seeking to depreciate their currencies in a beggar-thy-neighbor attempt to stimulate their domestic economies (the Swiss National Bank is a prime example). Therefore, we believe investors should consider owning gold, precious metals and other assets that store value as long as central banks continue to print and maintain negative real interest rates.